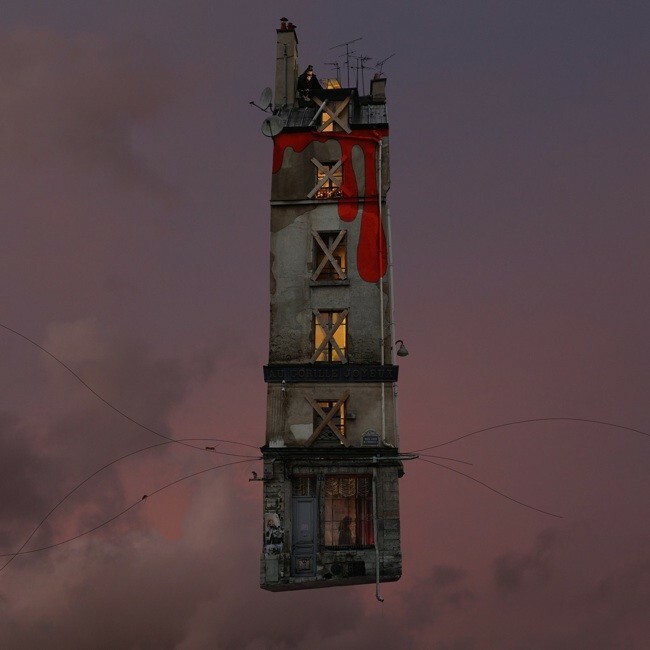 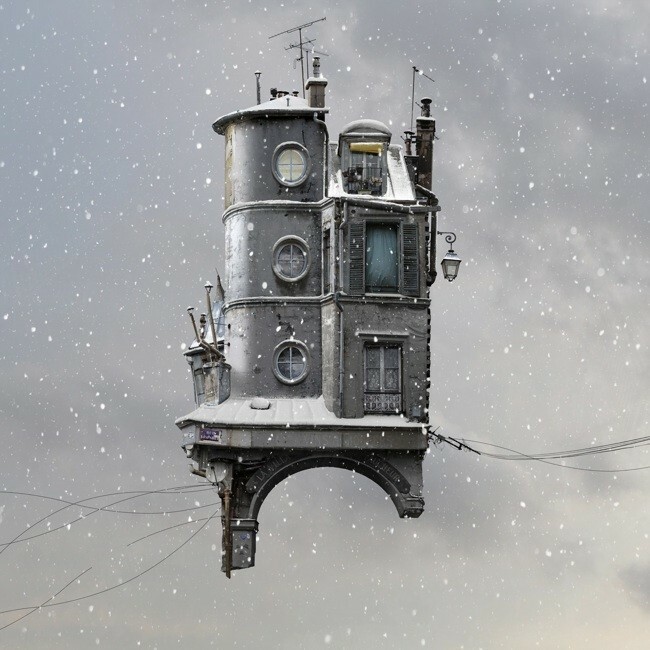 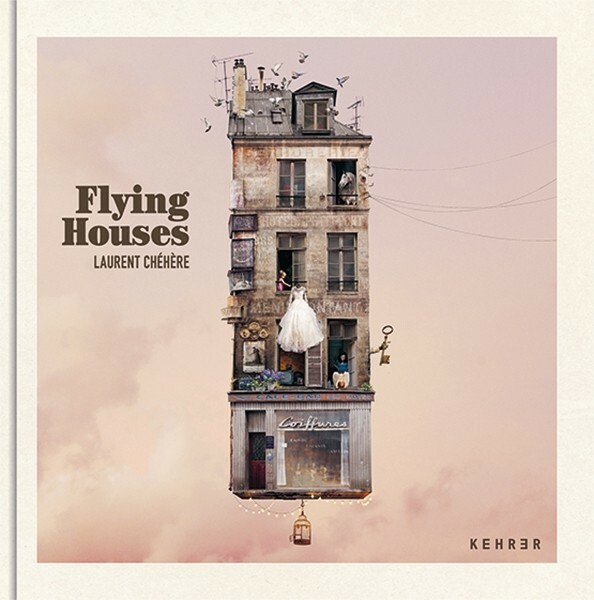 The Flying Houses are a surrealist and poetic vision of old Paris inspired by Jules Verne, Hayao Miyazaki, Albert Robida, Moebius, Robert Doisneau, Wim Wenders, Federico Fellini, William Klein, Serge Gainsbourg, Marcel Carné, Jean Cocteau and more. 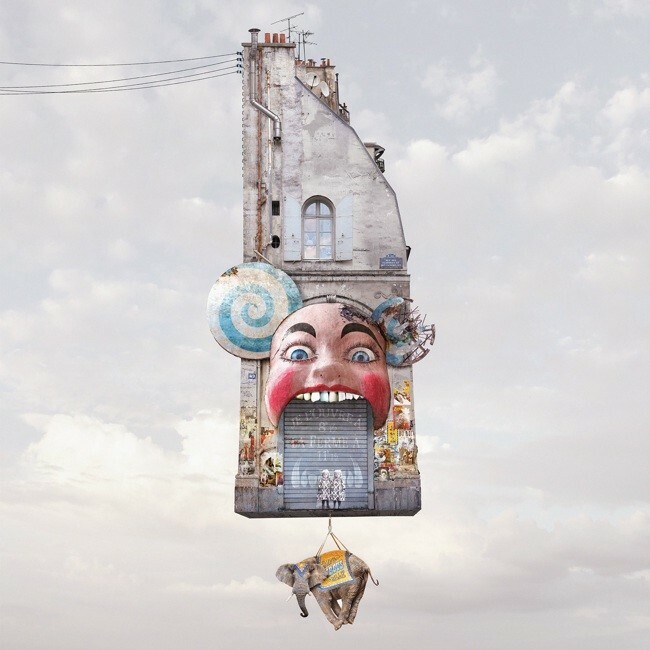 Housing, architecture, cinema, pop culture, street art, history, this series raises diverse subjects, futile or not. 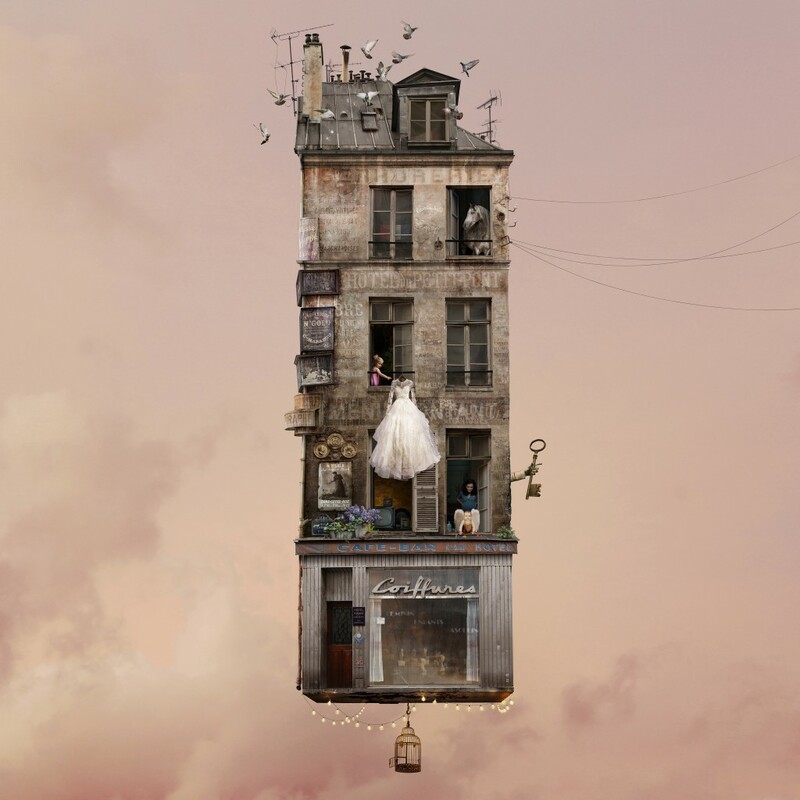 Separated from their urban context and broken free from the anonymity of the street, these buildings narrate or invente a story about lives, dreams and hopes of their inhabitants. 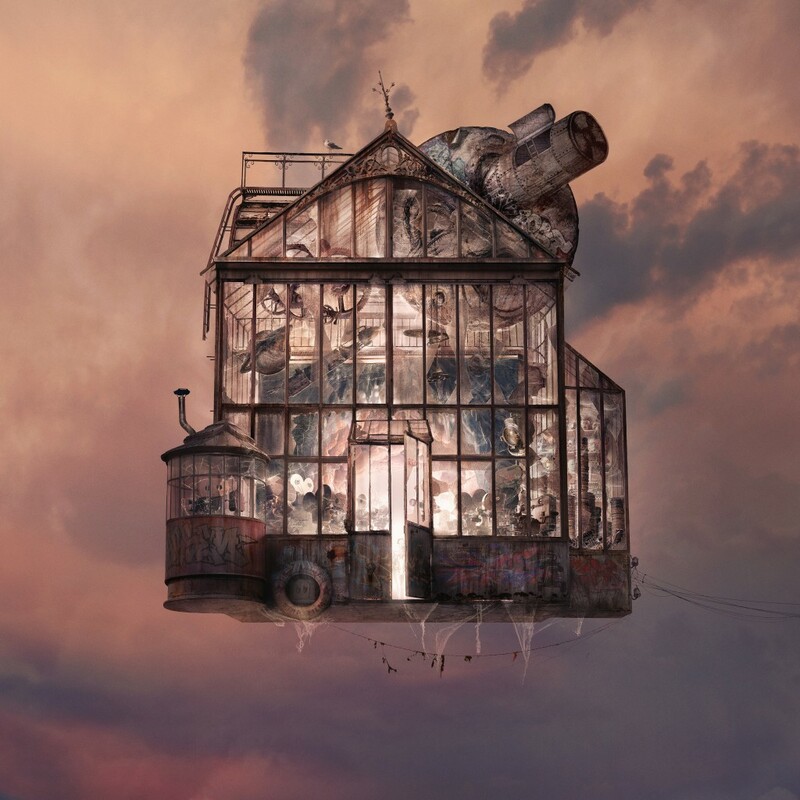 The images are photomontages of hundreds of elements captured and assembled afterward like a puzzle. 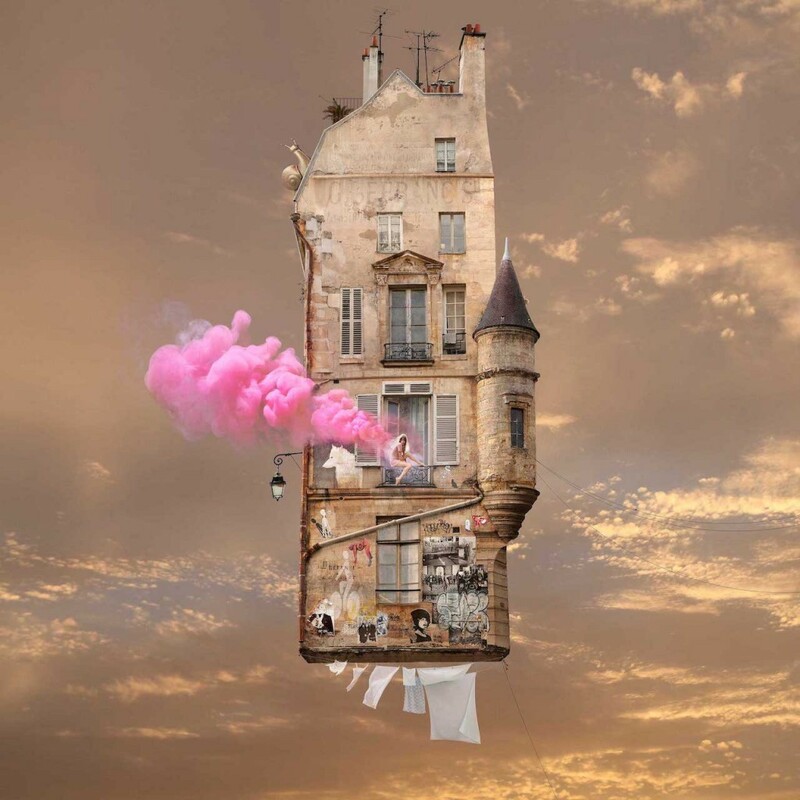 The large scale of the picture allows curious observer to discover hidden details of these accurate reconstructions by proposing a double reading, one by far and one closely. 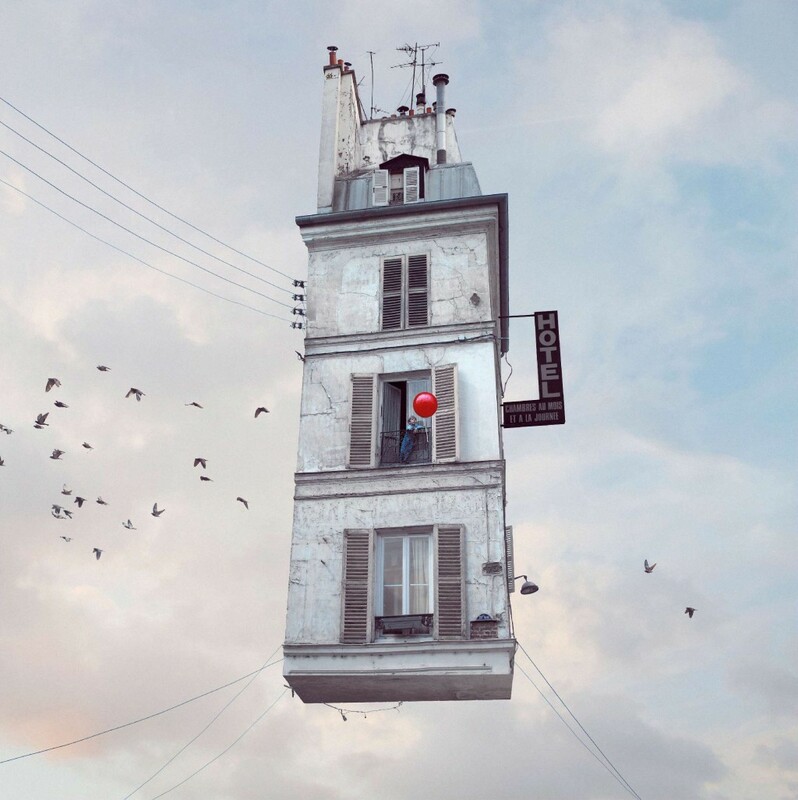 The artist uses this distance to propose a different point of view. 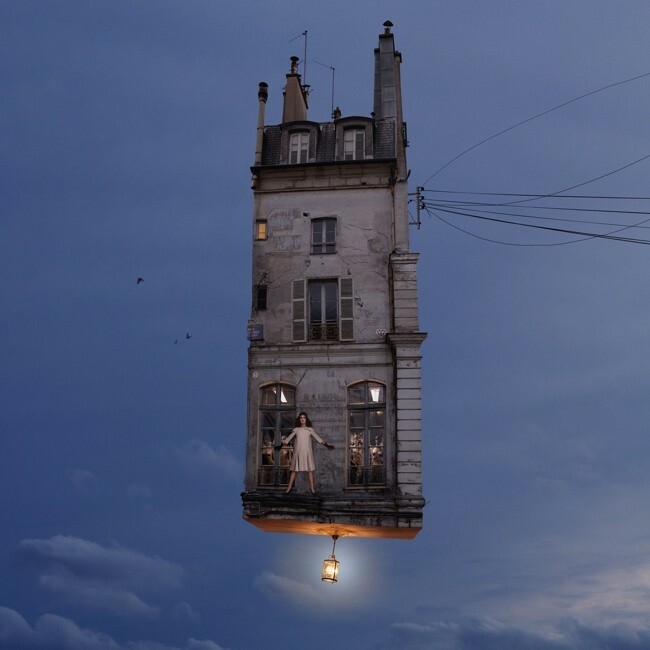 He gives some keys, but these flying houses remain open to the interpretation, it’s finally the observer who will make his own way. 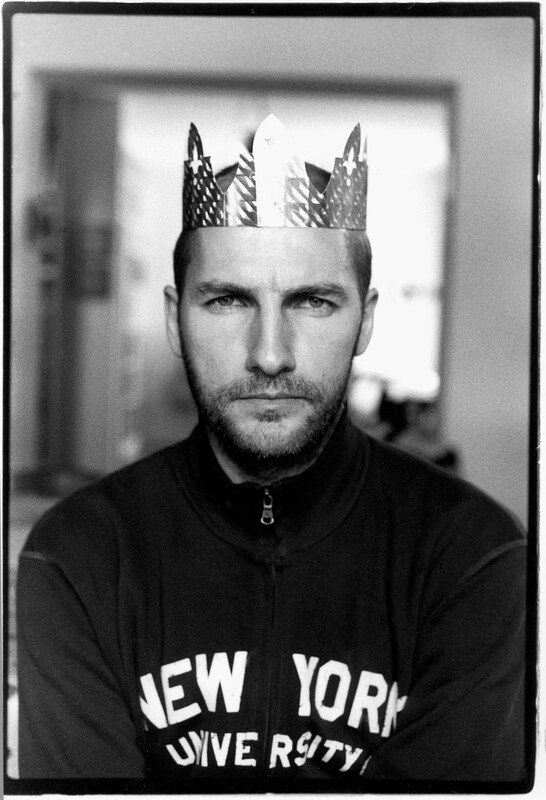 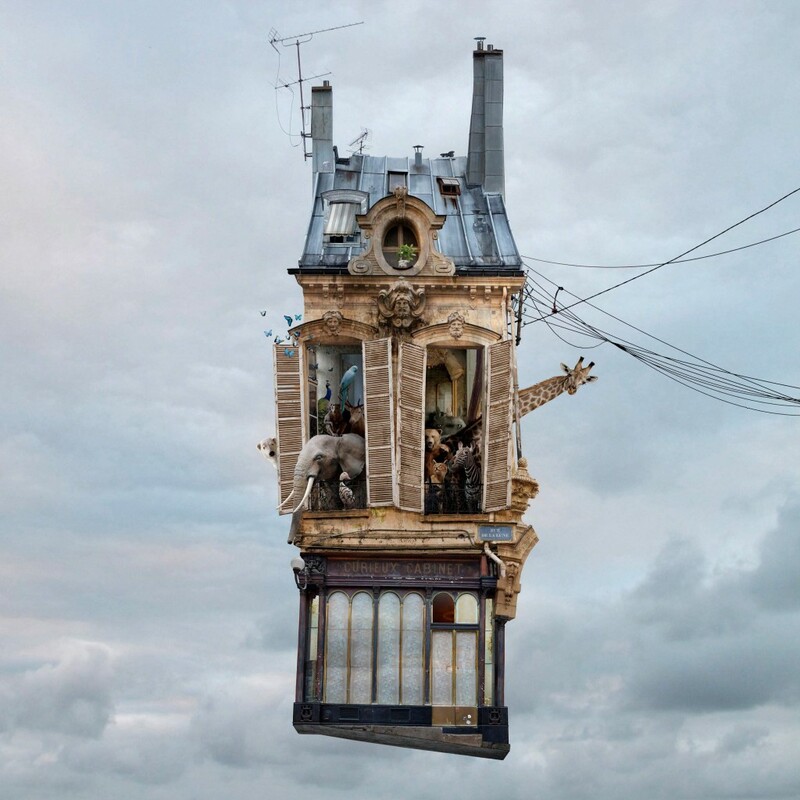 Laurent Chéhère is a French artist born in Paris. 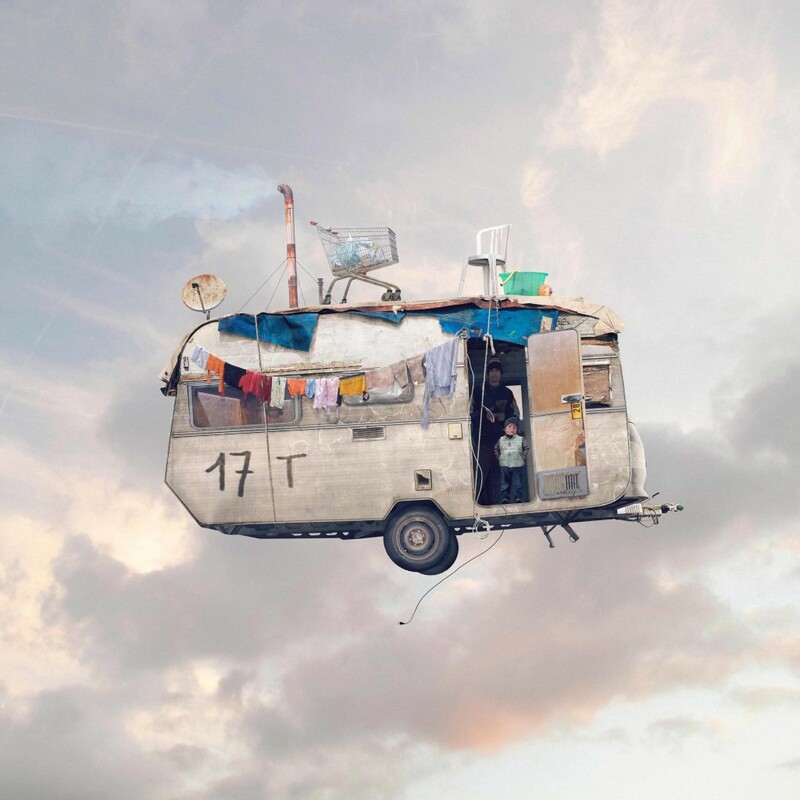 He likes exploring cities, suburbs, countries, as he likes exploring all the fields of the photography, from Reportage to conceptual image. 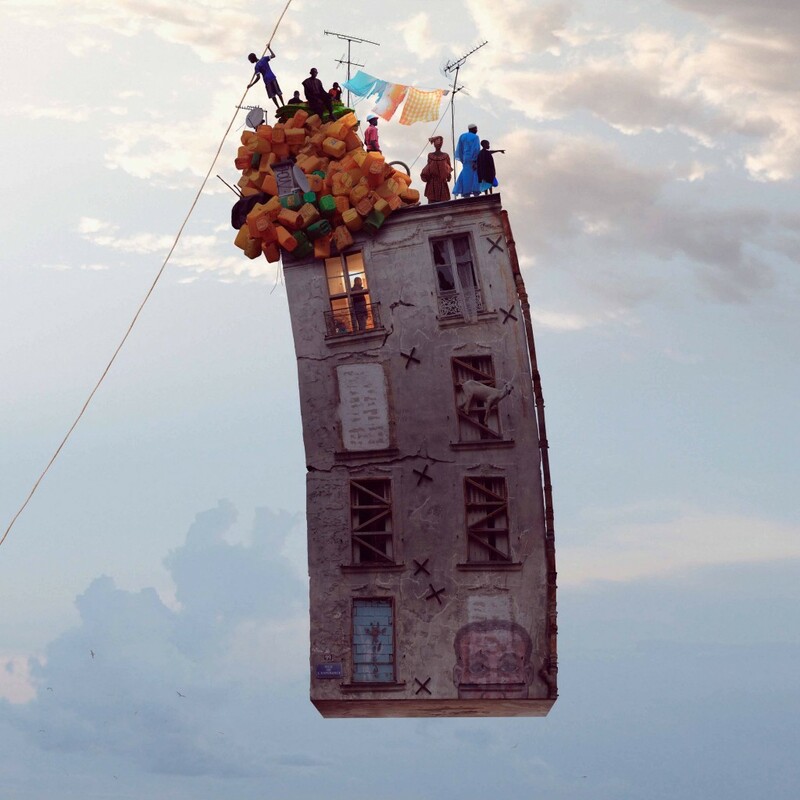 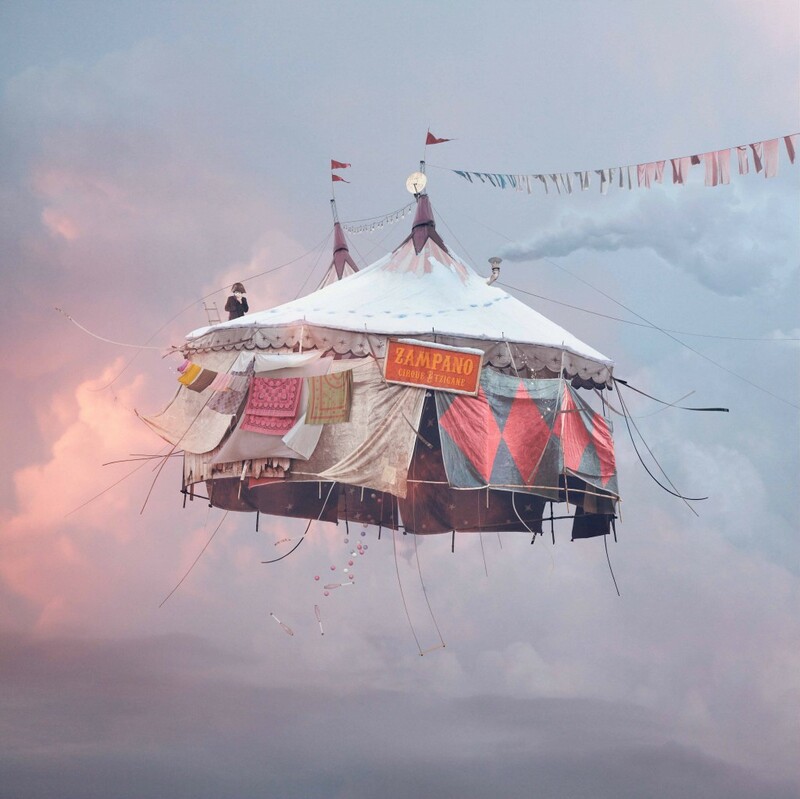 The “Flying Houses” were exhibited at ParisPhoto 2013, The Fence New York Festival 2016, Tokyo Photo Festival (2015), Seoul Lunar Photo Festival 2015, Photo Phnom Penh Festival 2013, Lumiere Brothers Center for Photography in Moscow 2015, Galeria Lume in Sao Paulo, Fotografica Bogota Festival 2015, Caumont Art center in Aix-en-Provence 2015, John Michael Kohler Arts Center 2017, Format 17 in Derby and the MUCEM in Marseille 2017. 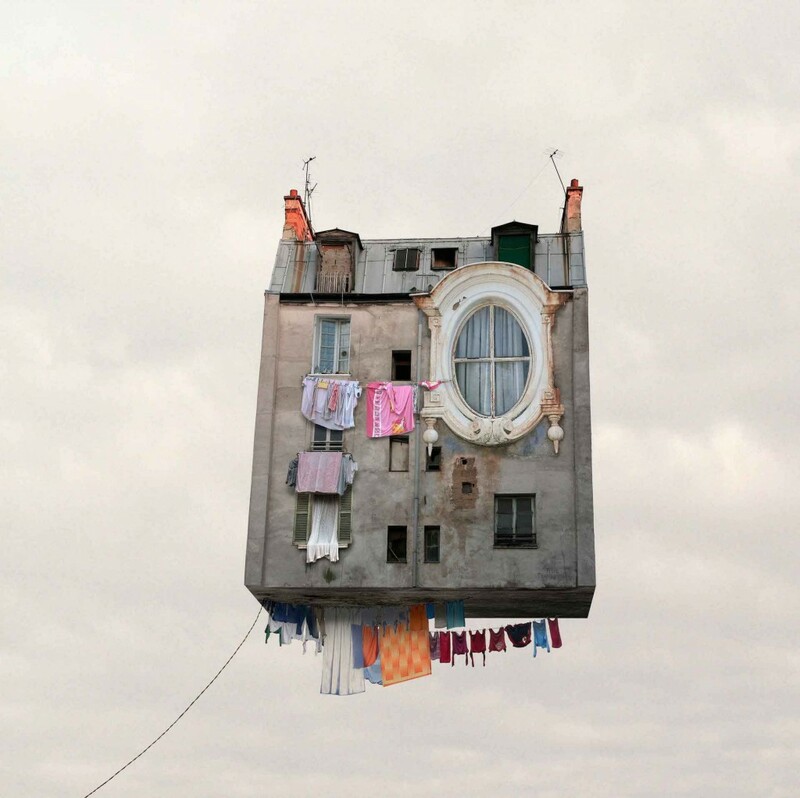 Laurent Chéhère, born 1972 in Paris, lives and works in Paris.